It is a great treat when the first snowflakes fall at the peak of fall color. 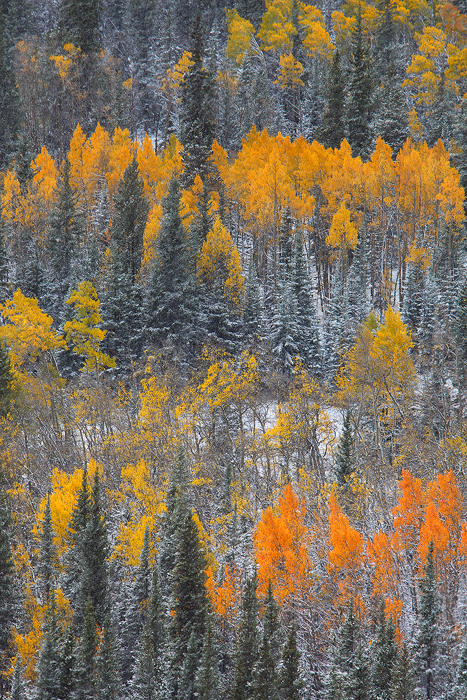 The contrast of the yellow aspen leaves against the snowy pines is such a beautiful sight. Autumn is an amazing time of year in the mountains, but no matter what time of year, the Rockies will always remind you that winter is just around the corner.